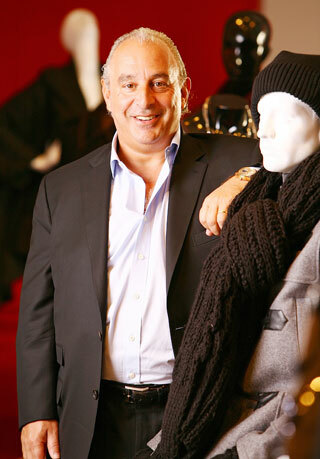 Sir Philip Green’s Efficiency Review ‘Stating the bleeding obvious’? ‘We have been here before. They all found the same. And it must be said, much of their analysis, and some of their prescriptions, were a good deal more profound than Sir Philip’s somewhat glib 33-page PowerPoint-style presentation. Same analysis. Great headlines. Not a lot of detail on how to tackle it all. The FT hits the nail on the head, we don’t need some non-dom, tax-exile, retail tycoon to identify the problems, the problems are comparatively obvious. Indeed the way to achieve improvements in the way things are currently done that would save billions are also fairly obvious. The hard part is implementing the improvements, in making sure that any initiatives are communicated all the way down to the frontline staff actually doing the purchasing and then monitoring their behaviour to make sure they are following the new policies. The key recommendation of this report was the creation of a specialist agency, the Office of Government Commerce, which would be responsible for setting policy, undertaking procurement where large scale aggregation would deliver improved value for money, as well as trying to deal with the problems of poor or inconsistent processes, lack of qualified staff and benchmarking. In April 2000 the Office of Government Commerce was launched as an agency of the Treasury with Peter Gershon as its first chief executive. At the same time a commercial arm, OGCbuying.solutions was created, which incorporated the purchasing organisations, the Buying Agency and the Central Computer & Telecommunications Agency (CCTA). While the OGC concentrated on strategy and the reform of the procurement process, buying.solutions focused on establishing centrally negotiated and tendered contracts, which the rest of the public sector could use. The rationale was that because of the limited number of qualified procurement staff in government departments and local authorities, the quickest way to solve the problem was to use qualified specialist staff in a central agency. This method also allowed requirements to be aggregated and benefit from the reduced prices that could be generated by a single large customer. The G-Cat and S-Cat framework contracts, for computer hardware and IT services respectively, were the first result of this approach. Any public sector organisation in the UK was able to place an order through these frameworks without having to go through the hassle of completing a competitive tendering exercise themselves. While OGCbuying. solutions has always maintained that this all complied with the European Directives, the European Commission has not always been convinced. The regulatory regime changed at the beginning of 2006 with the publication of the Public Contracts Regulations 2006, which now regulate how these arrangements are operated, so it seems likely that they will be with us for the foreseeable future. Since its formation OGCbuying. solutions has gone on to establish framework contracts for a wide range of products and services, including energy, mobile phones, consultancy services, facilities management, etc. The next step change in government procurement was initiated in 2003, when the Prime Minister and Chancellor of the Exchequer asked, the now Sir Peter Gershon to conduct a review into public sector efficiency, which although it had a wider remit, also included a review of procurement. When Sir Peter published his report ‘Releasing Resources for the Frontline’ in 2004, he promised over £20 billion of efficiencies, which is not quite the same thing as financial savings. A substantial proportion of the cashable savings were to be delivered once again by improving procurement. Probably the main difference between this exercise and Sir Peter’s previous report, was his proposed reduction in the number of civil servants as well as inclusion of local authorities and NHS trusts in the programme, which provides much greater scope for achieving savings. On this occasion Sir Peter did not take on the responsibility of delivering this efficiency programme. Instead this responsibility was passed to his successor as chief executive of the OGC, John Oughton. The progress so far was reported in the National Audit Office (NAO) publication ‘The Efficiency Programme – A second review of progress’ which was published in February 2007. The NAO reported that £13.3 billion of the target £21.5 billion annual efficiency gains, 45,551 of the 70,600 headcount reductions and 9,412 of the 13,500 reallocations to the frontline had been reported. They key word here is reported, as the NAO clearly considered that some of the reported efficiencies may not have been achieved or were being optimistically-reported. The ‘Transforming Government Procurement‘ report focused on beefing up the powers of the OGC, so that instead of just being a guiding or consultative body, it actually had the power to make some of the more recalcitrant elements in the public sector embrace the necessary changes. Probably the major changes affecting suppliers wishing to win public sector contracts, was an intention to increase collaboration, for which I think you could also read aggregation, i.e. a smaller number of larger contracts and also reflecting public sentiment, an increased focus on sustainability such as a reduction in carbon emissions, recycling waste, reduced waste, reduced water consumption and increased energy efficiency. As such, it is still the case that for any supplier wanting to win public sector contracts it will undoubtedly be beneficial to demonstrate that it has the capacity to handle large, multi-site contracts and also any improvements it can show in its processes, will contribute towards meeting the public sector’s targets for sustainability. Despite a lot of extremely good work in OGC’s policy division (I’m not such a fan of Buying Solutions), the OGC quietly disappeared over the summer and has been absorbed into the Cabinet Office. A new ‘Efficiency & Reform Group’ headed up by Ian Watmore, the former Chief Executive of the Football Association and a former Permanent Secretary in the Civil Service. Mr. Watmore will work closely with the Minister for the Cabinet Office, Francis Maude and the Chief Secretary to the Treasury, Danny Alexander, to make sure there is a coordinated approach to tackling waste and improving accountability across all government departments. This will include exploiting economies of scale and reducing duplication, as well as looking for efficiencies in procurement, project management, property, HR and ICT. 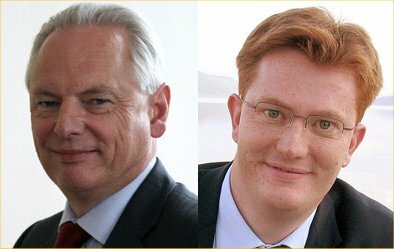 As the FT’s Nick Timmins said in the quote that I included above ‘We have been here before.’ As always, the proof of the pudding is in the eating, so we’ll have to wait and see whether Francis Maude & Danny Alexander are able to succeed where so many have tried and failed before them. In conclusion, the field of government procurement is constantly evolving, there are rarely if ever major changes which fundamentally shift the basis on which companies can do business with the public sector. Any change, inevitably takes time to filter down to the frontline procurement staff, by which time there is probably a new initiative on the way. As such, there are always opportunities; you just have to know where to look, fortunately you are already in a good place to start! We have a Company that would have an exceptional idea for Government Saving we need a Contact detail for Sir Philip Greens office, to send documents outlining our idea’s and proposals, we have a great money saving document. Pingback: InsideFox » Gov spending – tech marketing to prove its worth!